Okay, so I wasn’t ready to fully commit to healthy eating, but 2015 is a new year, right?! I’ve been told time and time again that your efforts in the gym won’t amount to much if your diet is whack. After witnessing this truth over the years with friends and family, I’m totally convinced that the way I have eaten will no longer cut it. I’m not getting any younger and my body doesn’t bounce back as quickly as it used to. Not only that, but a husband of a triathlete cannot live a slothful life. So, as I mentioned in my previous post, a big goal this year is to implement healthy habits into my daily life…for the long haul. My friend and frat brother Kevin Alexander is the prime example of someone who worked out heavily but did not get the results he wanted. Kevin dealt with a dilemma that many of us face: he was not aware of many healthy meals that excited him. Most were stereotypically bland and unappetizing. How could one possibly stay on course with their diet when it was a struggle to eat food they do not enjoy? Jarred chicken & broccoli casserole in honor of #mealprepmondayS! Ditch the cream of chicken soup, butter and mayonnaise and try this heart healthier version of a family classic. If you love chicken & broccoli casserole, you'll love this one too. Easy, practical and cheap! Click the link in my profile for FULL recipe with ingredients or go to FitMenCook.com. Tag someone who needs a new budget meal! Boom. (traduccion abajo) Cazuela de pollo y brocoli en frascos para la prep de comida! Olvida de la crema de sopa de pollo, mantequilla y mayonesa y intenta esta versión más sana de un plato clásico para la familia o usted. Facil, practico y barato para preparar. Haz clic el enlace en mi perfil o echa vistazo a FitMenCook.com para la receta completa. Haz tag a alguien quien necesita nueva comida barata. Bum. I’ve made several of his dishes and they have all been great. I realized that I just needed a resource which provided practical steps to winning in the kitchen. Fitmencook is that for me – Kevin is changing the way people view healthy eating by the millions – and it’s only the beginning for him. Very happy for what Kevin is doing with FitMenCook, and as a result, where he is going. Keeps us away from fast food – We are most vulnerable to buying fast food when we’re busy and either have no time to cook or no desire to cook. Now during those times, all we have to do is simply warm up our next dish. Keeps the kitchen cleaner – Only utensils and tupperware need to be washed 5 out of the 7 days we eat (unless we want to take the food out of the tupperware to have a family meal). You can eat on the go – Tupperware is ready to go and is microwavable, so you have no excuse to go through the drive thru while out. 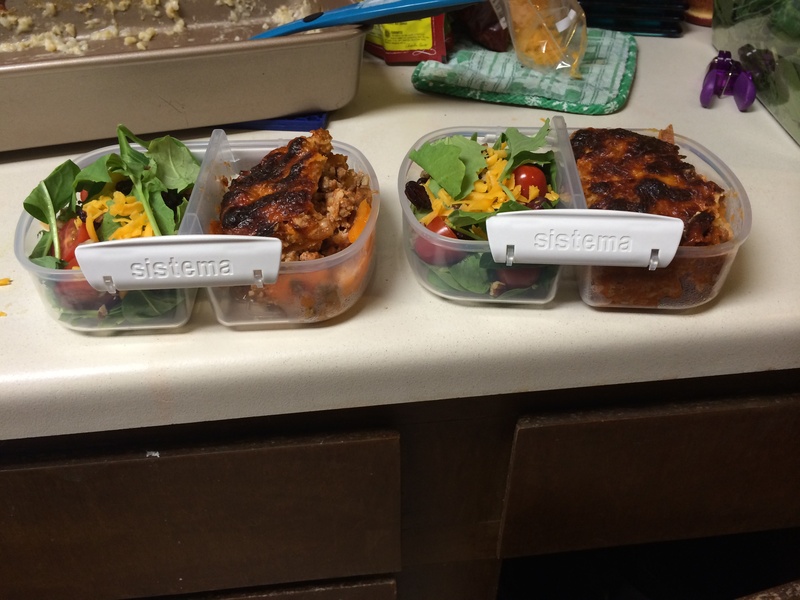 Variety – I can have two different delicious, healthy meals everyday! ← 2015: Will I Finally Get it Together? I’ve been following FitMenCook for awhile – so cool that he’s an old buddy of yours! 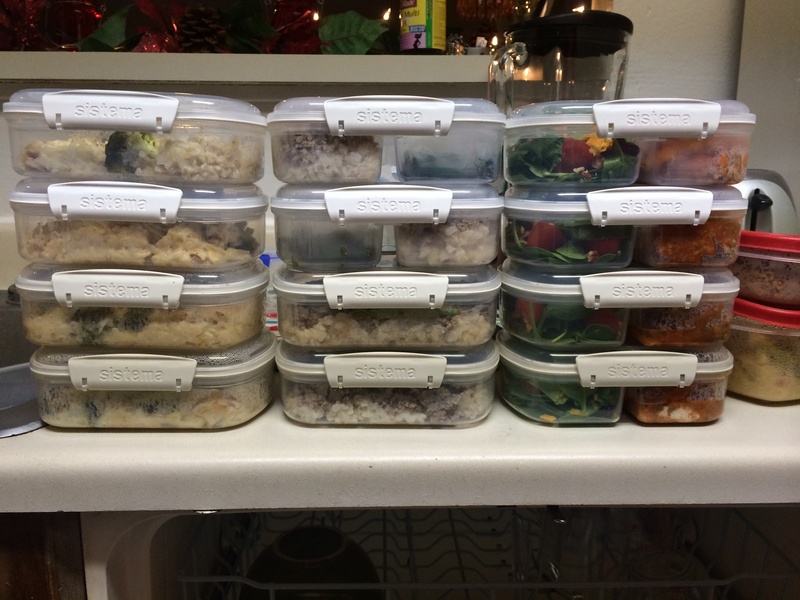 I never thought about meal preparation for a week. I think I’ll try this. Time is a huge issue-there never is enough of it.